Believe it or not, the food. Yes, in France! 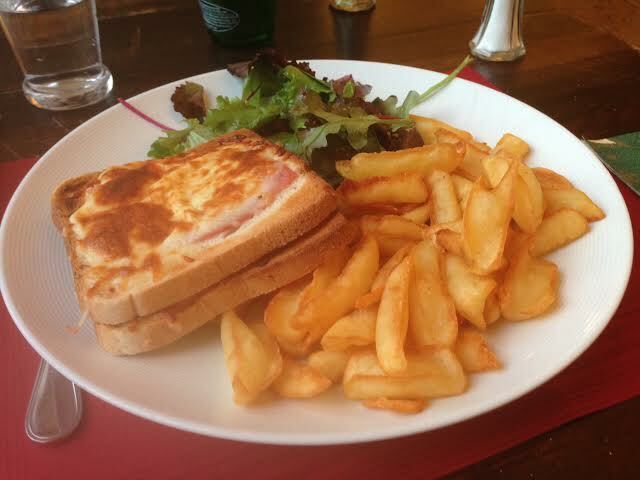 This was a typical everyday restaurant meal and face it, a Croque Monsieur is just a grilled ham and cheese sandwich. And although I never thought I’d get sick of french fries, I got to the point where I couldn’t even look at them after a while. They are served with everything. An omelet…with frites. 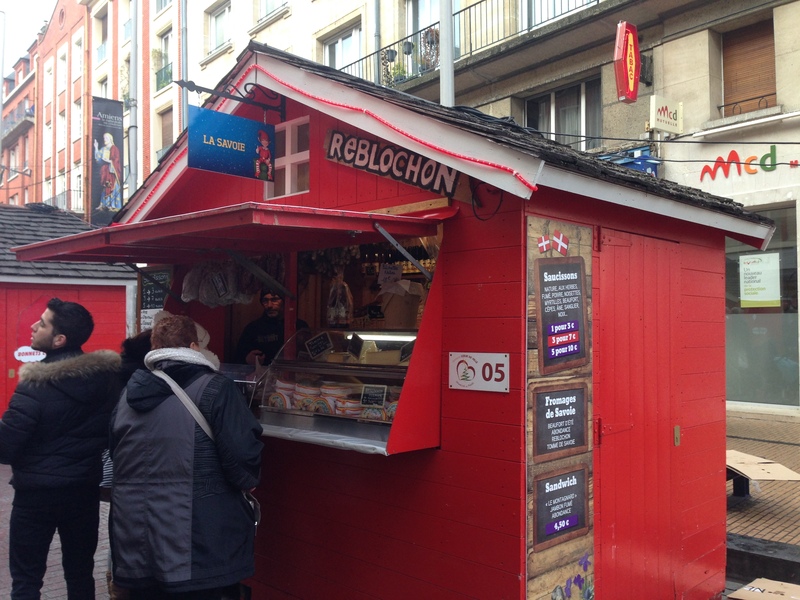 A crêpe…with frites. A chicken leg…with frites. Well anyway, that is the general idea. I would have been happy if I could have just found some good popcorn. The French insist on putting sugar on it for reasons I’ll never understand. We were in a movie theater where the freshly popped popcorn smelled so good and I could see little crystals gleaming on top which I thought was salt. I took a big bite and YUCK! It was SUGAR! What are they thinking??? Even the few varieties of microwave popcorn that are available (and you have to search for it) is goût sucré. For a culture that loves their butter on everything else, I’m not sure I understand why they don’t put it on popcorn with salt. The meals I ate in the Resto U were dreary and dull. Think Junior High cafeteria – it wasn’t even as good as that. It was heavy on the starches – piles of instant mashed potatoes or plain macaroni – with a bland piece of meat and some canned vegetables. My other meals were mostly what I could prepare in my dorm in a microwave such as frozen entrees. 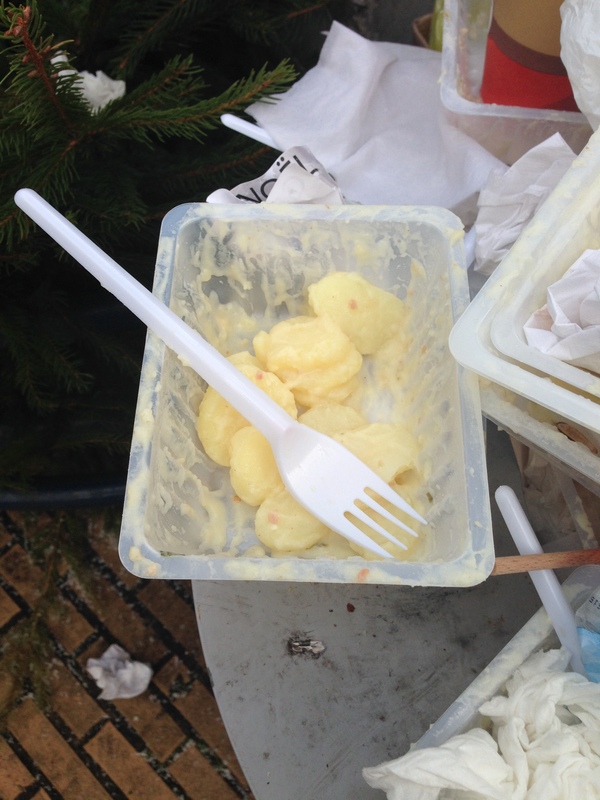 The one bright spot was the cheese and I ate many a meal consisting of Camembert with half a baguette and an apple. 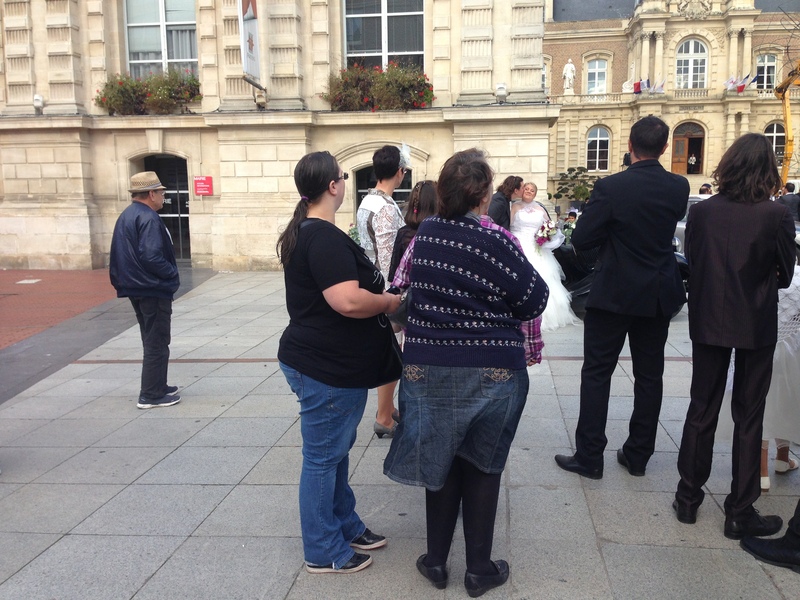 Everyone in France is not thin as a rail, I don’t care what they tell you. This is just one example, and not unusual. I’m not trying to be unkind, but I want to dispel that myth right here and now. Obviously all those frites and baguettes are going somewhere! 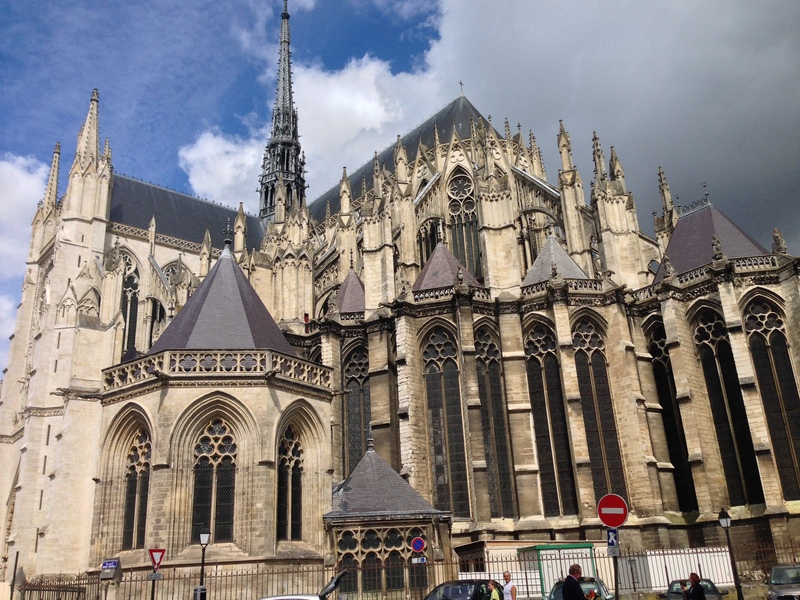 Which to me were the cathedrals, specifically the Gothic cathedrals. I won’t put all the photos here – there are great pictures of all of them just a google away. 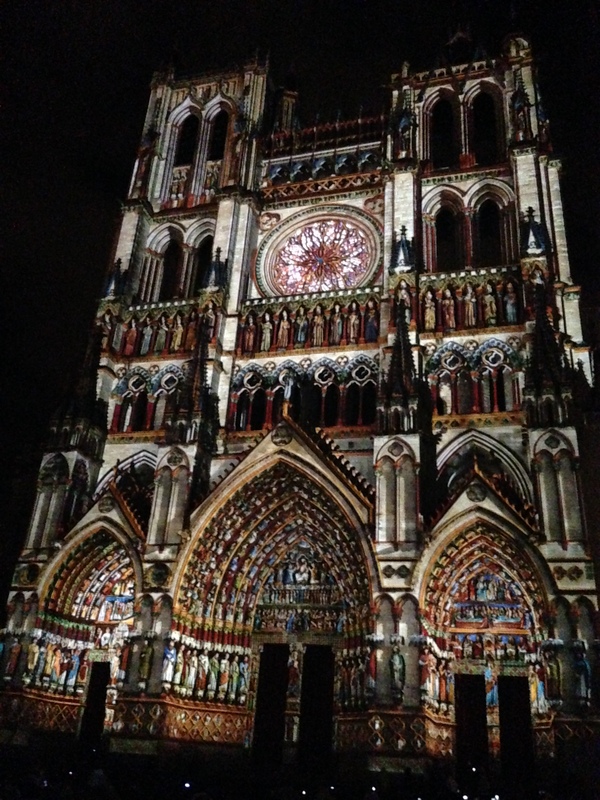 But I saw cathedrals and basilicas in Paris, Amiens, Reims, Metz, Laon, Albert, Rennes and I don’t remember where all else. I guess the thing that makes them so beautiful to me is the fact that we simply don’t have them in the U.S. while there is a Gothic cathedral in practically every town and village in France. Besides being beautiful buildings, they are – to me – places of peace and tranquility. There is an air of solemnity and spirituality that truly transcends the ages. If you can put aside your prejudices about “idolatry”, you can see them for what they were meant to be: A monument to the heavens; a way to make sense out of a cold, dark, dangerous world in the Middle Ages; a place to make a spiritual pilgrimage; a way of illustrating the stories of the Scriptures for people who couldn’t read. (And yes, a place in which to increase the riches of the Church, I know.) They were, above all, the very best that man could offer as a temple in which to worship his Creator. Anyway, I found the peaceful moments of contemplation in the cathedrals to be a true respite from the horrors of the news stories about extremism and terrorism. 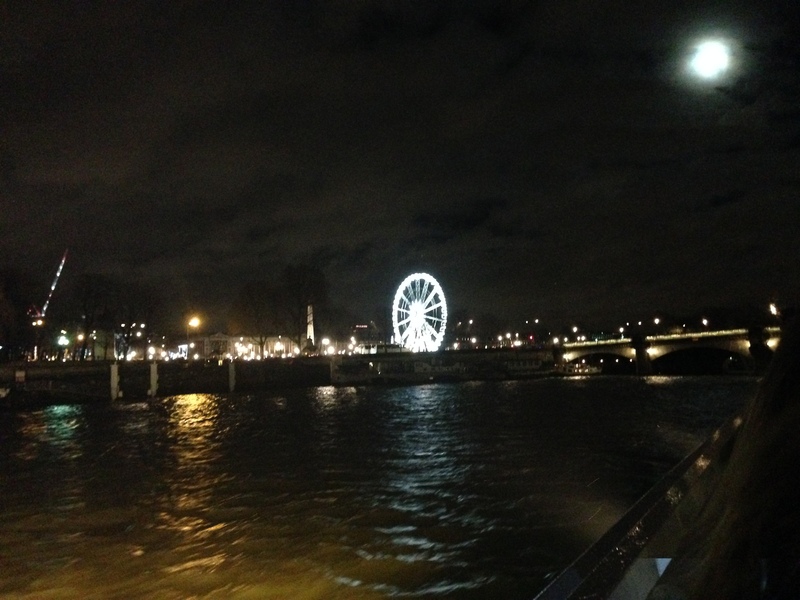 This entry was posted in Uncategorized on January 25, 2015 by marykb2014. 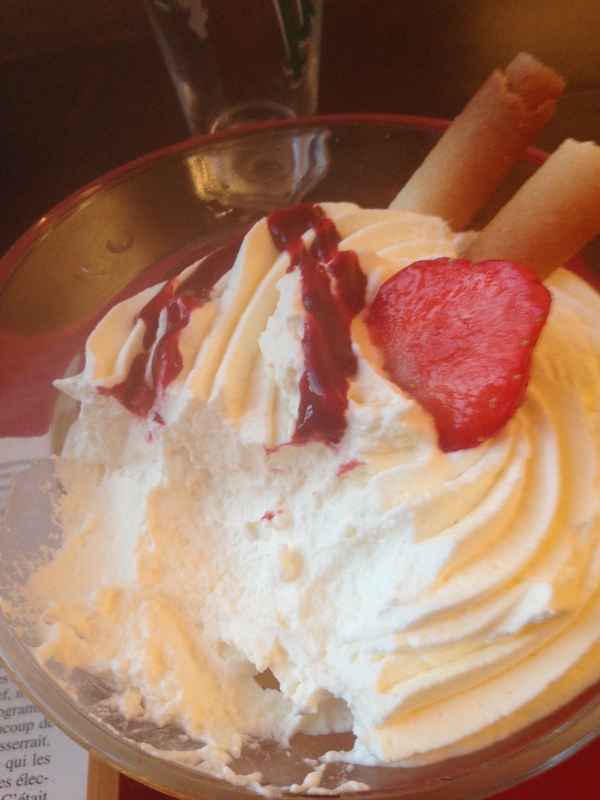 Yes, this is a bowl of whipped cream… or rather it is crème Chantilly. The bowl of cream here was simply the finishing touch to the perfect day I spent in Chantilly wandering through the fabulous Château. This was one of those days I spent alone – but not lonely. It was an adventure because I got on a train from Amiens and headed to Chantilly with no clear idea of where I was going. 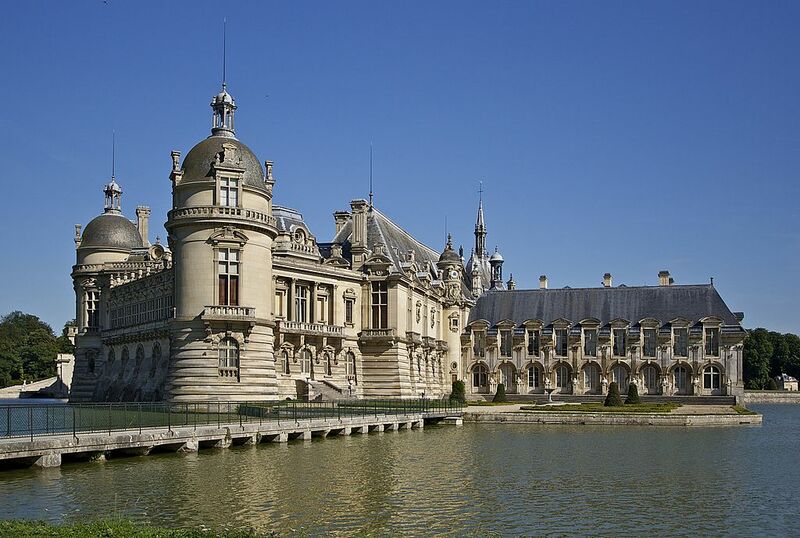 But I found the Château which houses not only one of the finest art collections in France, but has a collection of rare illuminated manuscripts from the Middle Ages. But the best part of the day was at the end of the tour. 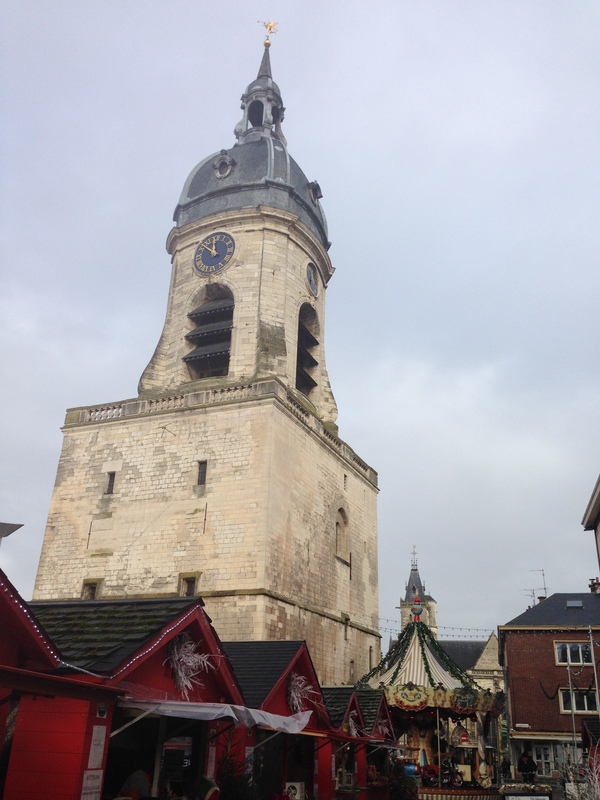 There was a restaurant where I tucked into a Croque Monsieur (I hadn’t eaten all day!) and when they offered dessert I went for the bowl of the famous Chantilly cream. I was sitting at a table by the window with a view of the sunset. I still had a long trip home by taxi, train, and bus, and I’d get home after dark, but none of that mattered. I decided to just live in the moment and savor every mouthful of the luscious cream. Whipped cream was “invented” here, and this was probably the ultimate bowl of whipped cream I’d ever eat (I couldn’t finish it though.) There was just something about that moment – it was perfect. There were a few of those, but this one was definitely the worst. Heading to Metz with my family, we hauled our NINE pieces of luggage (I wish I were exaggerating, but I’m not) up a flight of stairs, across the platforms, down a flight of stairs and onto the train. Got all the luggage stowed then collapsed into our seats. It was the evening of a LONG day of traveling. We had gotten a wrong connection at our last stop and had to spend a bouncy (nauseating!) hour on a bus going from the station in one town to another town to catch our train to Metz. 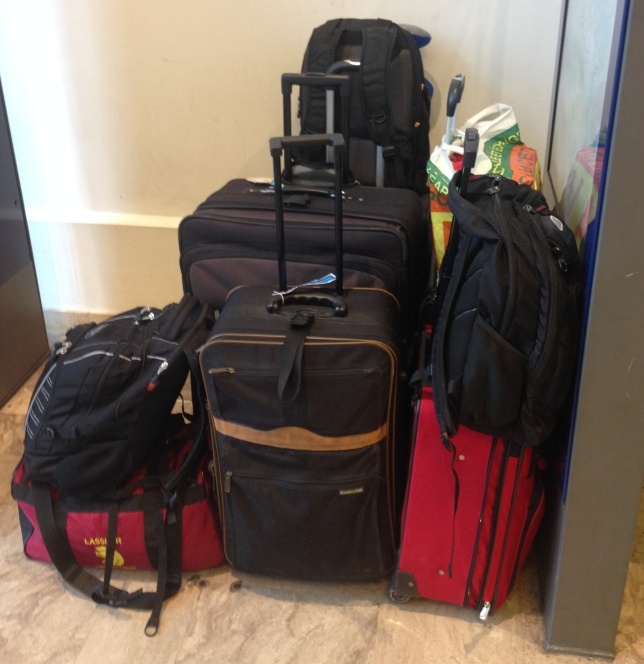 Now we were finally on the last leg of our journey after a day spent hauling these bags on and off trains and buses. As we settled in our seats were heard the following announcement: “Attention, passengers, the train for Metz has been changed to Platform 2”. WHAAAT???? Yes, this was a “worst moment” because we had to get up, collect our NINE bags, haul them back up the stairs, across the platform, down the stairs and onto another train. We were three very unhappy campers at that point. 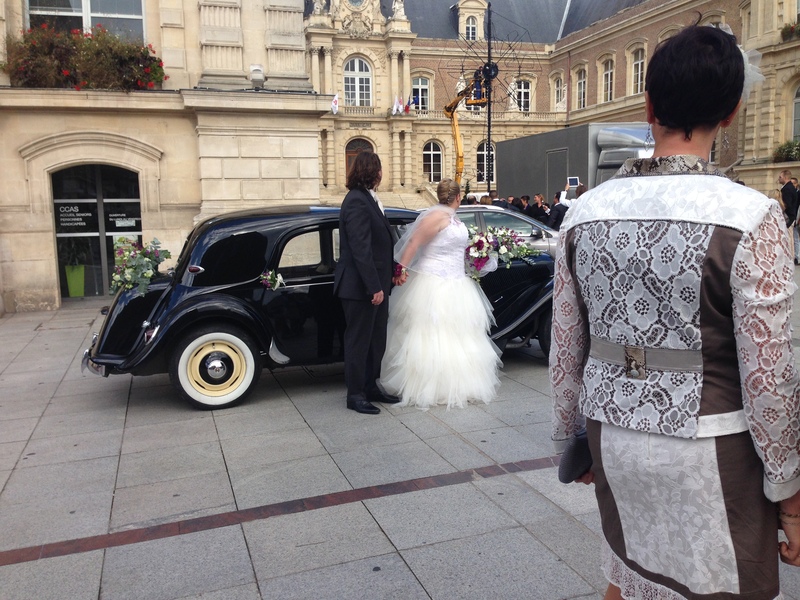 Happily, this was followed by a runner up “best moment” when we saw the view from our hotel room in Metz, overlooking the train station. Totally worth the trip. 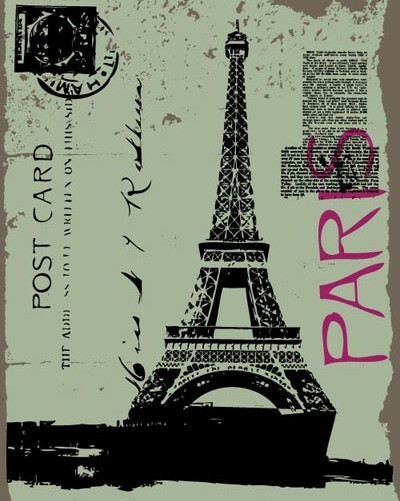 This entry was posted in Uncategorized on January 24, 2015 by marykb2014. The results of my final exams in Language and Civilization were 15,1/20 and 15,6/20. If those sound like bad results percentage-wise, the good news is that by the French grading system those grades should be equivalent to A’s in the U.S. I guess that would be because I pretty much learned French in books. I have spent much more time reading it and studying grammar in workbooks than I have actually speaking it. On the placement tests that we took at the beginning of the semester I placed at the Advancé level because the test was written rather than oral. On the other hand, my Erasmus classmates are mostly Europeans who have picked up some French from hearing it, but haven’t necessarily studied it. Their speaking skills surpass their writing skills and I am the opposite. This entry was posted in Uncategorized on December 15, 2014 by marykb2014. 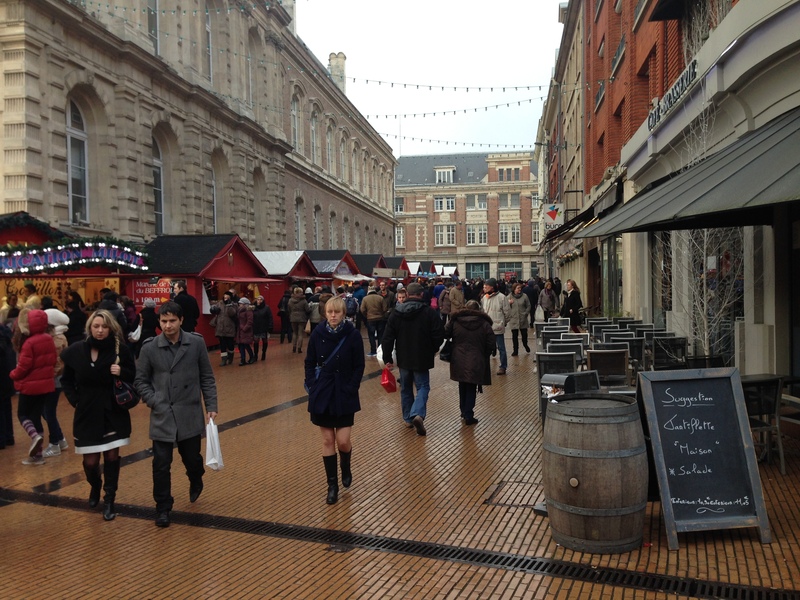 Le Marché de Noël d’Amiens – Sunday afternoon in town. 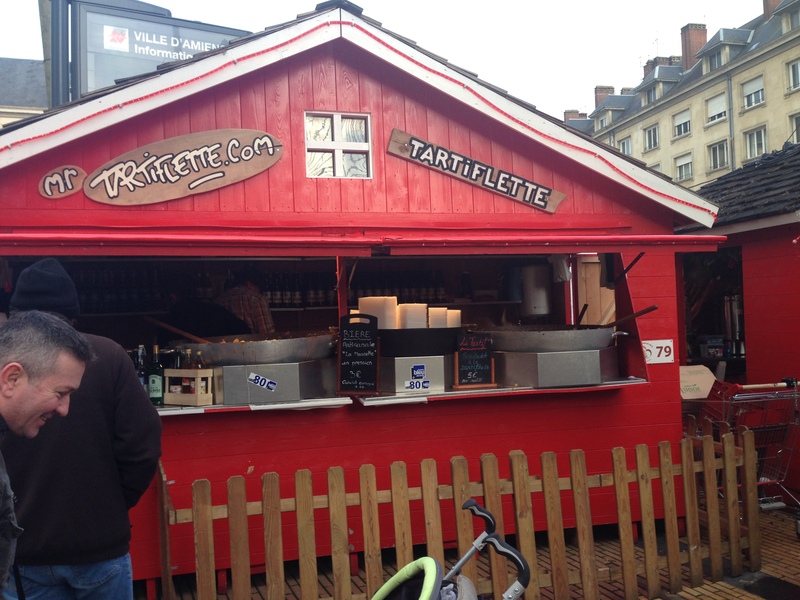 This one is very interesting, the tartiflette. Now here is where I am ready to confront one of the most pervasive of French self-mythologies. This is my container which I threw away unfinished, nestled among scads of containers picked clean. Oh, and it is delicious, BTW! But here’s the ones that’s really funny. 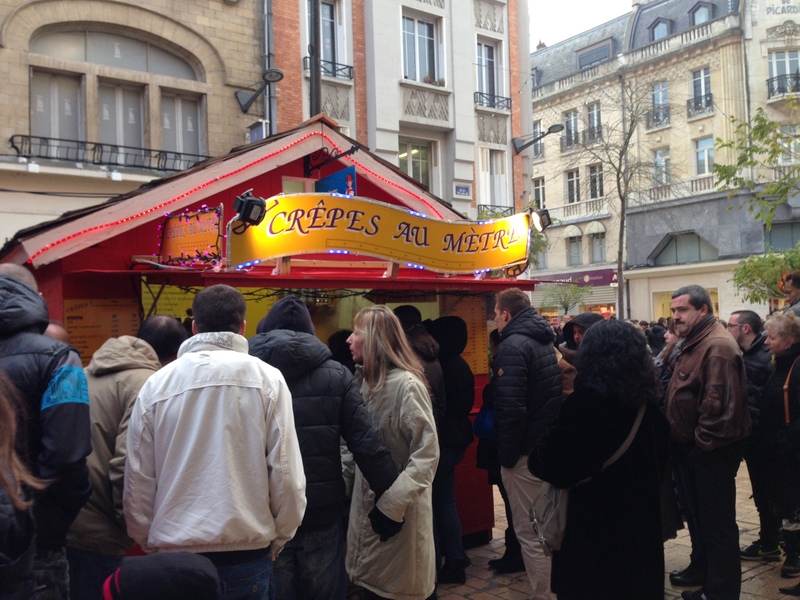 While Americans line up for footlong hotdogs the French line up for Crêpes au Mètre, which more or less means “Crêpes by the Yard”. 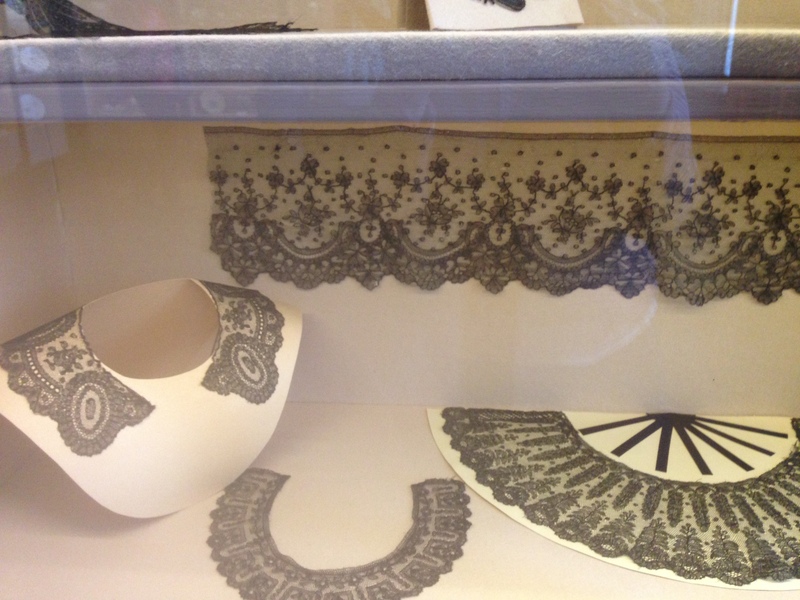 (This was a very popular kiosk.) For some reason this struck me as absolutely hilarious. It is the French version of funnel cakes at the State Fair. This entry was posted in Uncategorized on December 14, 2014 by marykb2014. I’ve lived a long time and seen a lot of sights, and this – so far – is the most beautiful building I have ever seen in my life. Nothing else compares – it is transcendently beautiful and when it is lit against the starry night it literally takes your breath away. When the lights come on, there is an audible gasp among the crowd of several hundred people gathered in the winter evening chill to witness it. 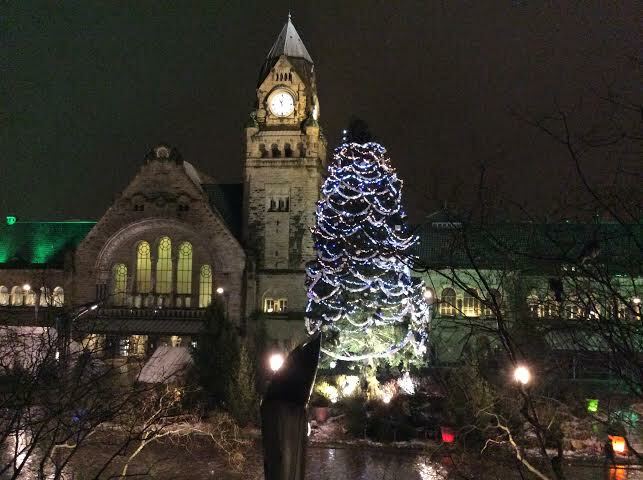 Once the cathedral is lit, you completely forget how cold you are. The problem is no picture can do it justice. You simply cannot get the idea of the height of this magificent cathedral – how it seems to soar to the heavens – unless you are standing in front of it. Imagine … if it can inspire such awe in people from the 21st century – people who have seen skyscrapers and jumbo jets and Disneyland – what did this look like to people 500 years ago? It must have truly seemed like the portals to heaven. It even looks like that today and we are much harder to impress. 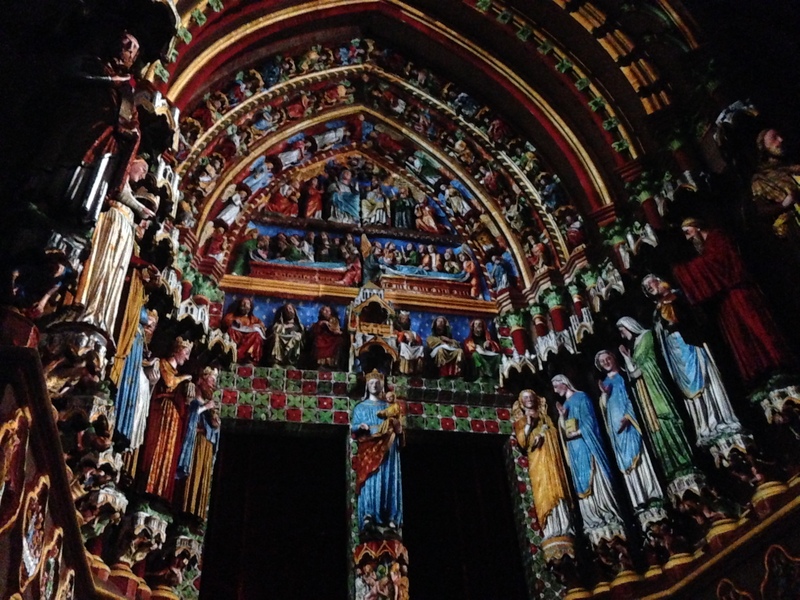 The light show (which they call the polychromie sur la Cathédrale d’Amiens) is supposedly based on the actual colors that these figures were originally painted. The paint had worn off over the centuries, but apparently enough traces remained for it to be reconstructed by this light show. It is utterly splendid. 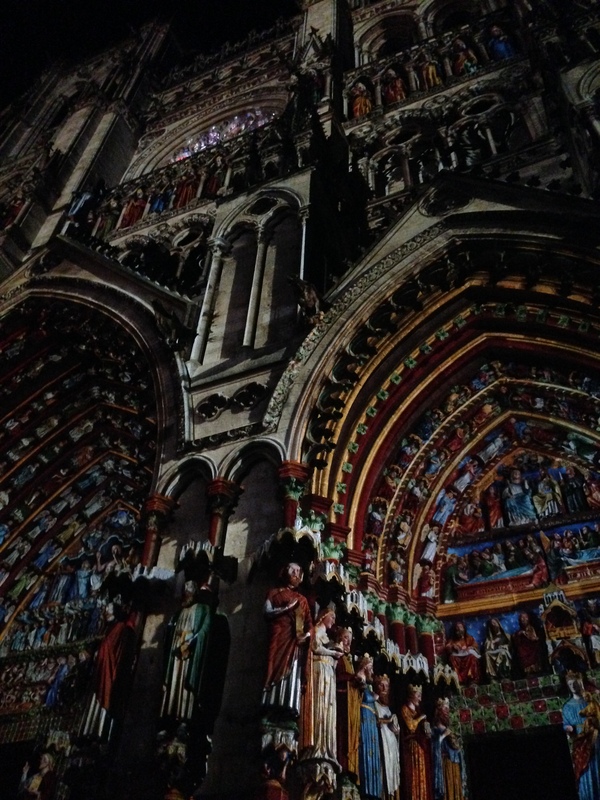 It would be a shame for anyone to come to France and not make a trip to Amiens to see this. This entry was posted in Uncategorized on December 13, 2014 by marykb2014. Is very different and not what I expected. 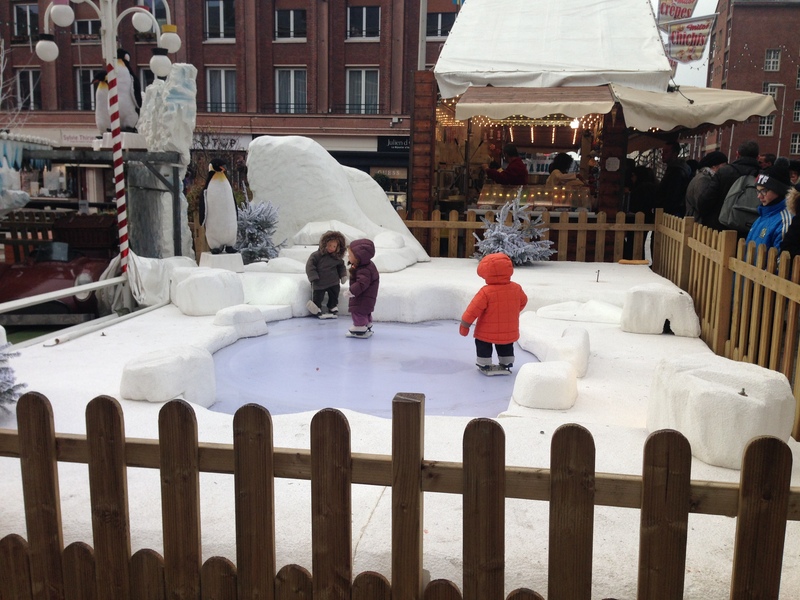 First are the Christmas markets. 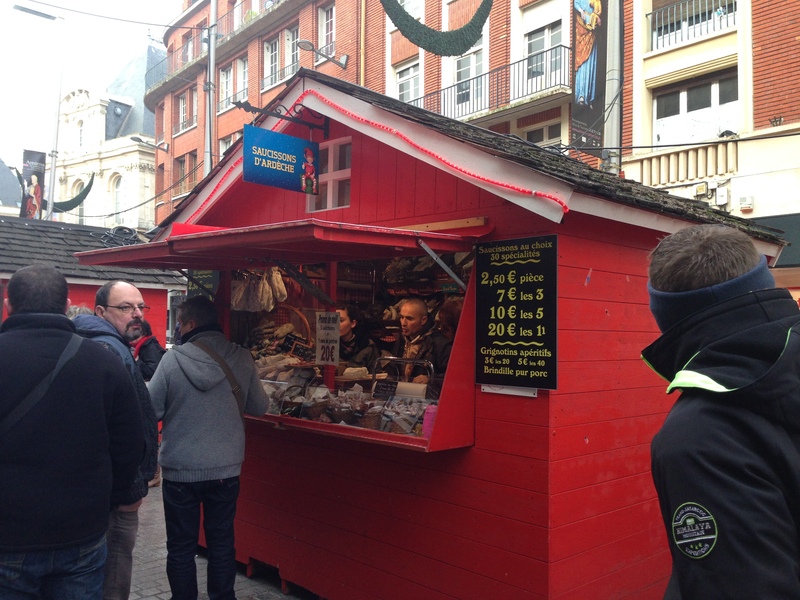 Those are a big deal here, and I already showed the Ferris Wheels in Paris, Lille and Amiens that accompany the Christmas markets – aka les Marchés de Noël. 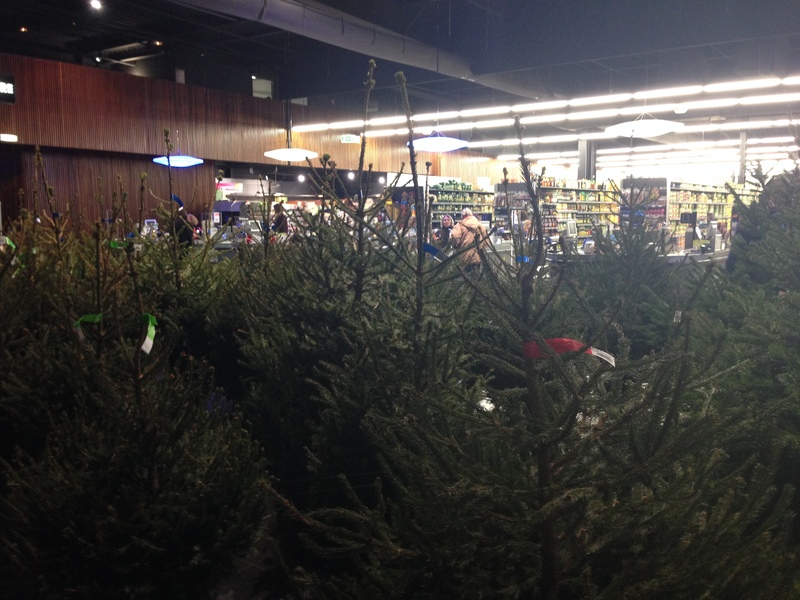 There are few Santas here and there are few Christmas trees (and even those are kind of lame.) Although I love France, I have to admit I got a lump in my throat when I saw these Sapins de Noël. THIS IS IT! THIS IS ALL THEY HAVE! Can any American relate to this? 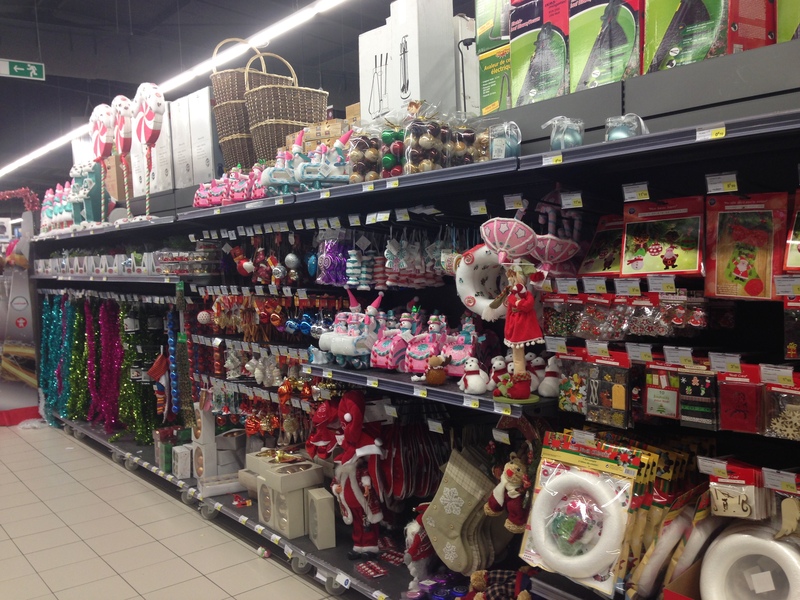 This would be the clearance aisle of the Dollar Store the week after Christmas back home! Here’s what else you don’t see here: houses lit and decorated for Christmas. I have seen one – exactly ONE – lit and decorated house with Santa and his reindeer out front and I’m willing to bet that an American ex-pat lives there. I have yet to see the first wreath on a door, either. There are also no cars with wreaths or reindeer antlers. Even though I have always found this kind of tacky, it just doesn’t really feel like Christmas without it. Its funny how as Americans we scoff at the crass commercialism of Christmas and then we miss it when its not there. One very surprising thing I hear, though, is American Christmas carols EVERYWHERE. 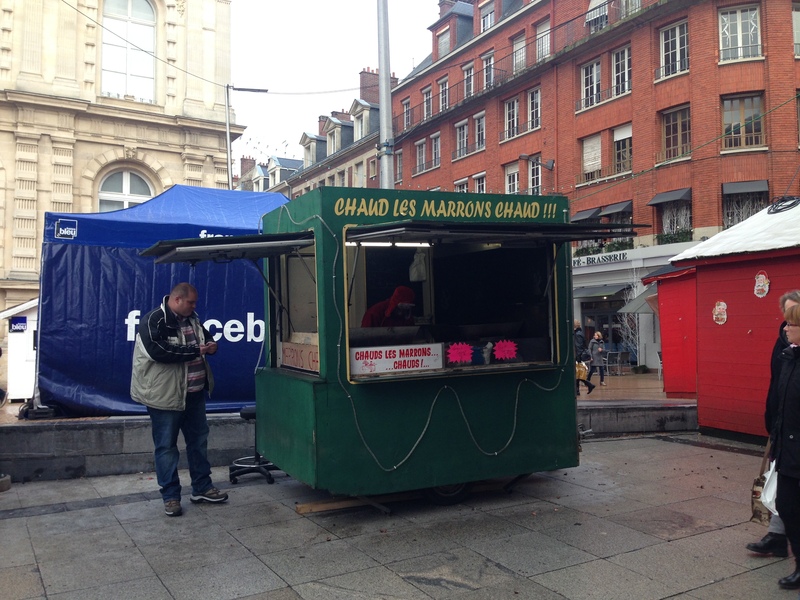 Strolling through the marché the other day I heard Elvis singing Blue Christmas. And Bing Crosby is dreaming of a White Christmas everywhere you go. A few weeks ago I walked down the Champs-Elysées listening to Bing and his American cronies sing about White Christmases and chestnuts roasting on an open fire, but I never heard the first carol sung in French. 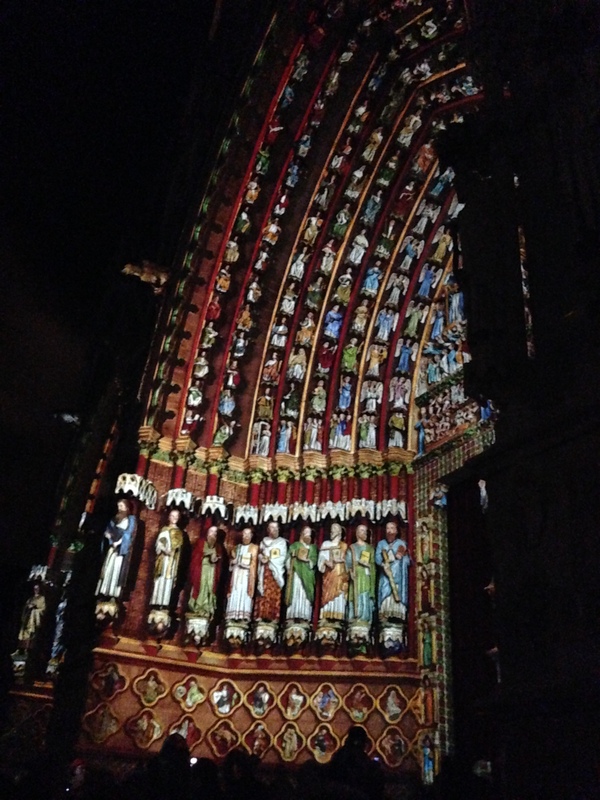 Coming up soon… the spectacular Polychromie sur la Cathédral d’Amiens. This is one thing you will never see in the U.S. and it is better than all the trees that ever towered over Rockefeller Center. This entry was posted in Uncategorized on December 12, 2014 by marykb2014. We aren’t try to pass the bar, for pete’s sake, we’re just taking an intermediate level language class! This one was “only” five pages long (and I say “only” because our prof cheerfully assured us before the test: “Ne vous inquiétez pas, il n’y a que cinq pages cette fois” Ha, ha, ha!) To give an idea of how much writing there was, I rotated between two pencils and sharpened each one at least 3-4 times. When most of us were only on the third page he began his countdown…. “il reste quinze minutes…” When he saw the panicked faces he relented and told us that since it was our last class, he’d tack on an extra 10 minutes. Ha, ha, ha! (I am still a little hysterical) We needed another hour at least. Or maybe a couple of days. At that point I’m sure most of us were wishing we were in the South of France with the neighbor and his boat rather than sitting in a classroom trying to rewrite that sentence using relative pronouns. Anyway, let the chips fall where they may (que les chips tombent n’importe où) I’m DONE. This entry was posted in Uncategorized on December 10, 2014 by marykb2014.